Sometimes I think of something retro and it sends me down a trail. Bottle Caps are like that. This candy was popular during my childhood. 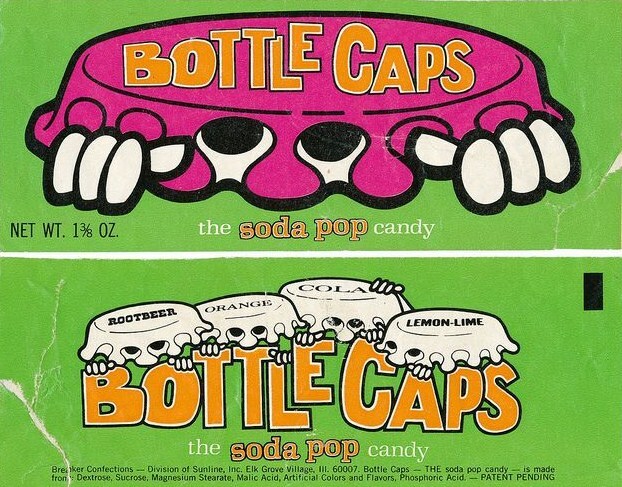 It came in a packet (exactly like you see below, 1972) and had flat tablets that were shaped like soda bottle caps. The tablets were flavored like soda pop, too: grape, orange, cherry, root beer, and cola. I remember these were sold at the little convenience store near my neighborhood's community swimming pool. I would ride my bike or walk there with my friends on the way to or from the pool, and we would buy Bottle Caps. This candy, which I haven't had since childhood, reminds me of summer. Funny how retro memories work that way. 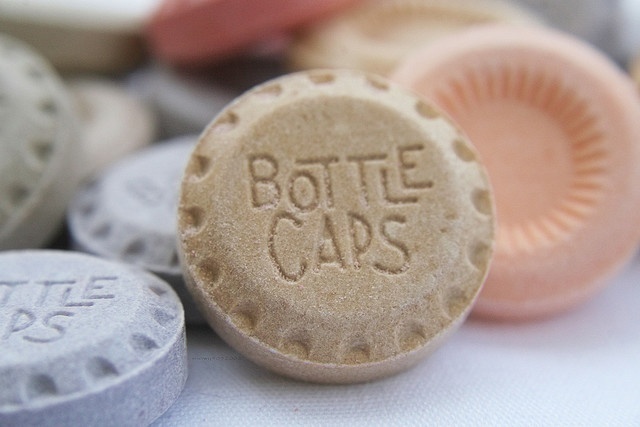 Do you remember Bottle Caps, or do you have similar candies that spark memories for you like these? I'd love to hear from you in the comments, below. 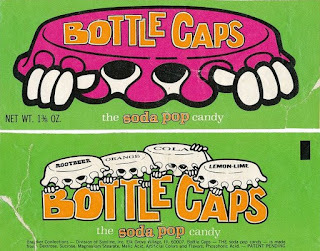 Bottle Caps candy were my absolute FAV growing up! Thanks for this awesome TBT! Thanks for the comments! Glad that y'all remember these, too. Mary, I have found that drugstores and convenience stores are great places to find old fashioned candy. Hope that is helpful! I remember these! Pop rocks bring back childhood memories for me. I think they're still around, right? Thanks for the visits and comments! Erica, I googled and yes, Pop Rocks are indeed still around! I haven't seen them in years.